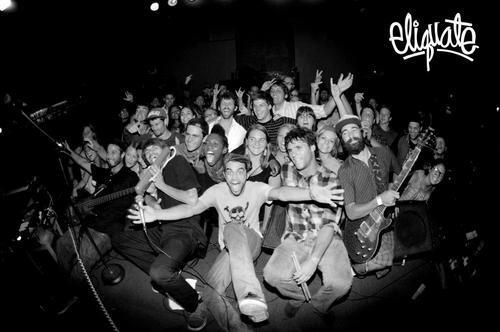 It’s a Sunday evening in the Fine City as I sit down to conduct my interview with Elliot Wright, singer and lyricist behind up and coming Santa Cruz hip-hop-rock band Eliquate. At half 8 in the evening, it seems likely that Elliot is hardly awake (11:30 am on a Sunday and I’m usually still asleep), but I find him in lively spirits. We talk British beer (great), UK rock music (the best) and Gordon Ramsey (they love him). We even touch on Mel Gibson (Australian? ), Bono (douchy-sunglasses, of course) and Brighton beach (nothing like California) before remembering the real reason we’re here – to talk about Eliquate, their latest album and the plans they’ve got for 2014. The first topic we come to is, inevitably, their sound. 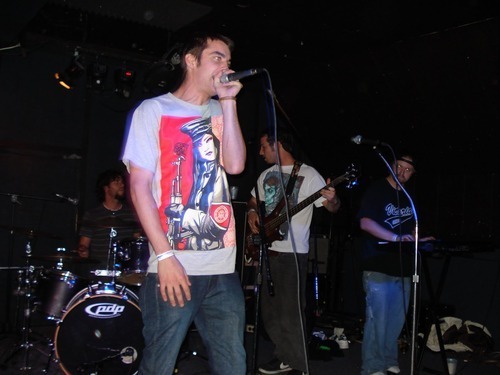 Labelled as alternative hip-hop, rap-rock, indie and underground, Eliquate create a melting pot of socially aware but uplifting and enjoyable genres, touching on jam band rock and, as I mention (having watched footage of their live shows), good old fashioned punk rock. There must be something in the water in California’s Bay Area, famous for its ever-growing list of home-grown talent: from the classic and alternative rock of Primus, The Grateful Dead and Faith No More to the punk and hip-hop of Green Day and 2Pac. With a list like that lying around to inspire and instil an appreciation of good music, it’s no wonder that bands continue to develop. 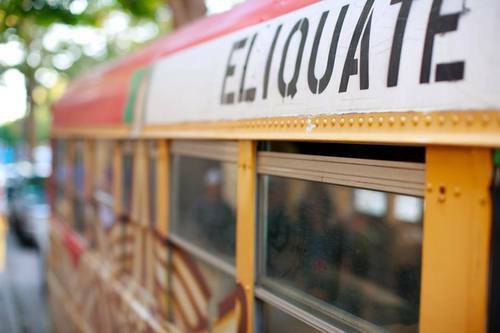 So how can a band like Eliquate be heard over the noise and buzz of the bigger, more saturated cities whose musical legends are, well, legendary? For Elliot, the answer is simple. It’s hard not to agree that the internet has effectively shrunk the world. 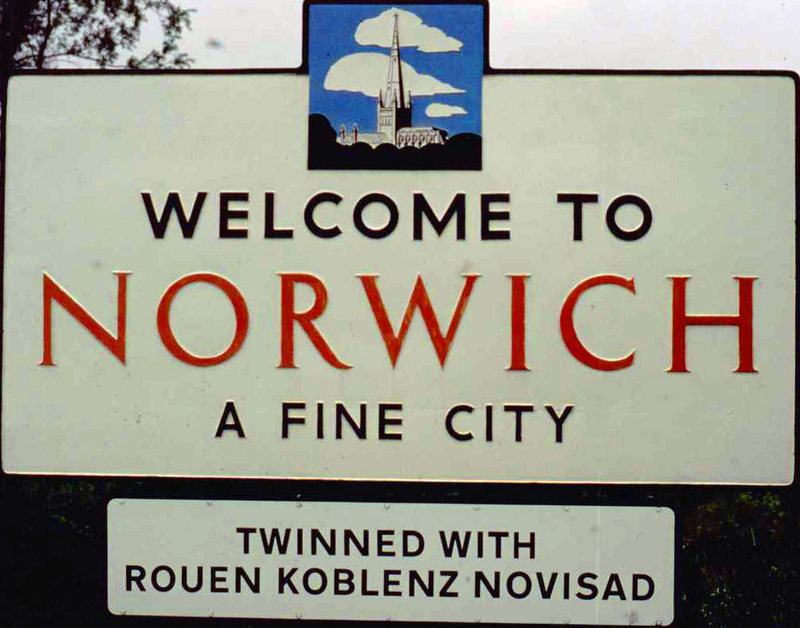 Through the likes of Facebook, Twitter and in this case Tumblr, the gap between Norwich, UK and Santa Cruz, USA is as minor as an eight-hour time difference and an uncooperative webcam. So whilst the benefits of breaking a major city are obvious, it seems like the Santa Cruz scene is alive and well, and Elliot has no shortage of local talent to recommend. Good music, it transpires, can be found in some unexpected places. The ‘inspiration can be found anywhere’ ethic has been present from the outset. 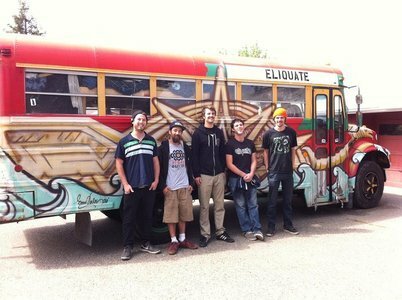 Since 2007, Eliquate has grown from a solo act to a group effort, taking in new experiences and influences along the way. 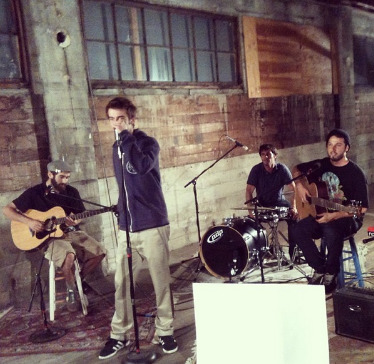 “[Debut album] Arch Rhythm happened before we really got the band fully assembled. It was basically Jamie [Schnetzler, producer] making the beats – he wrote most of the leads and then the band would learn how to play them. Chalkboard’s… is certainly a much more diverse beast, with (in this interviewer’s opinion) an overall richer sound to it. 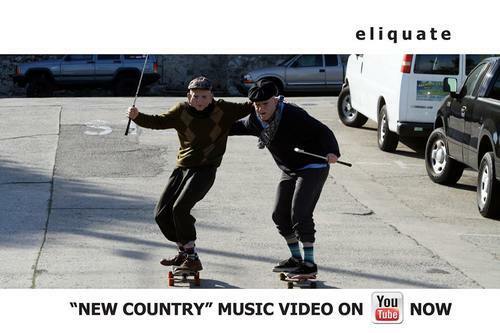 And there’s a brand new video out too. The video looks great, and, it sends out a message that we would all do well to remember from time to time. 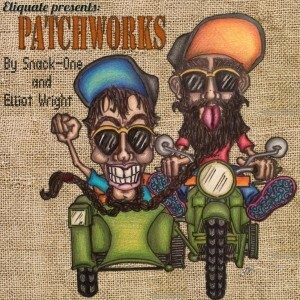 But whilst Eliquate’s music is full of message and metaphor, can it – and music in general – really make a difference to society? “Absolutely, I think it can” Elliot enthuses. “Music can have what I call a Trojan horse effect, where you get people’s attention by entertaining them, and then you use that attention to spread a message. It is sort of the responsibility of an artist to be accountable for what they’re saying and the message that they’re portraying. Too many artists lose sight of what is true and the real reasons they are doing what they are doing, but Elliot has been writing for a long time, and he was putting pen to paper a long while before he started recording. But the idea of being a rockstar was always in the back of his mind. That commitment has really paid off, and now the desire is pushing Eliquate further, with 2014 shaping up to be a very busy year. They hope to release Arch Rhythm on vinyl (though Elliot prefers MP3 – “I know, it’s so hypocritical”), shoot at least seven more videos and get the Patchworks mixtape series completed. And with that, there’s been another bridge built right over the Atlantic.